Like millions of others, I’ve watched the United States Women’s National Team play three group stage matches along with knockout stage matches against Colombia and China at the 2015 FIFA Women’s World Cup. I didn’t recognize the team that took to the pitch against Germany. And that’s a very good thing. Facing their greatest challenge yet at this year’s World Cup, Die Nationalelf, the Americans delivered their greatest effort of the tournament so far. They came out in the first 45 playing with renewed pace and vigor. The only problem was their continued inability to convert chances. Alex Morgan was in full attack, creating opportunities but the ball wasn’t finding the goal. A lot of that can be credited to German goalkeeper Nadine Angerer. 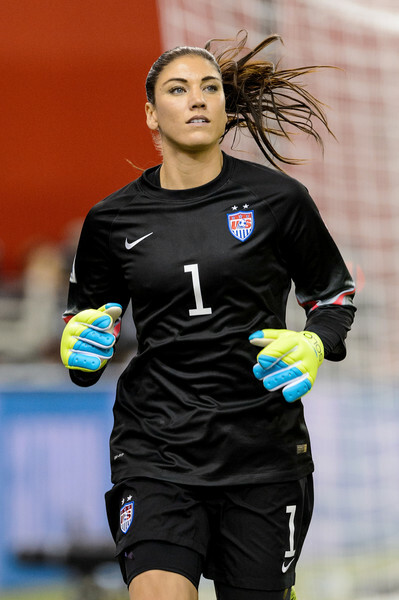 Her saves kept Germany in the match at halftime. Possibly the moment of the match came after Julie Johnston was called for a penalty, giving Germany a penalty kick. 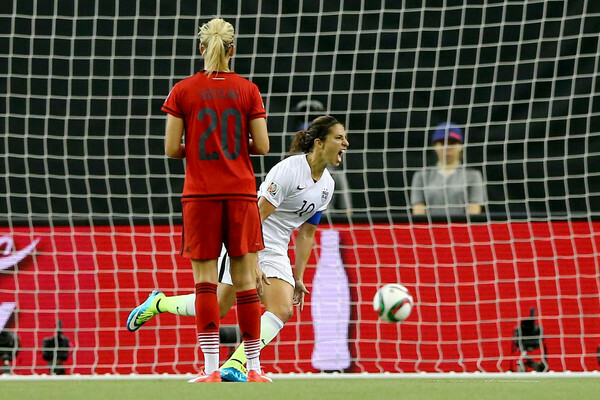 Germany has never…NEVER…missed a penalty kick in Women’s World Cup play, going 12 for 12. Oops, my bad. Make that HAD never missed a penalty kick as now they’re 12 for 13. Did Hope Solo freeze Celia Sasic with some crafty stall tactics? We’ll never know, but whatever the case may be Sasic hooked it from the moment it left her foot. Solo had committed the other way. It was potentially a catastrophic moment for the Americans. If they had trailed Germany in the second half, there would have been all kinds of negative ramifications. Instead, on a questionable penalty kick against Germany roughly ten minutes later, created by a foul on Alex Morgan in the box (or at least that’s what the officials said), captain Carli Lloyd beat Angerer to put the USA up 1-0 in the 69th minute. Look, I’m an American. I root for the US Women’s National Team. Contact was initiated outside the box, in my eyes. But the goal counted and the match played on. In the 84th minute, 9 minutes after Kelley O’Hara subbed in for Tobin Heath, Carli Lloyd assisted on an insurance goal by O’Hara, putting the Americans up 2-0. Whether it’s England or Japan in the final on Sunday, if this American squad shows up…I have a good feeling. If the squad that showed up in the first 5 games (particularly the first 4) shows up…well, I always have hope. 1. Calls balance out. A lot was gained and lost on both sides. It is sort of irrelevant if she was behind the line or over. Don't commit a penalty when you are that close to the line when a call can go either way. 2. Germany looked slow and lumbering. They did not seem to have any spark. Don't know if the are an old or young team. If old I can understand. They also were big. Made US look small, but also made them look fast. 3. Germany was big, but they also played dirty to me. One play in particular caught me eye. Was a corner kick late in the match, the German player who towered over the US player, basically put her arms around her chest from behind and threw her to the ground during the play in front of the goal. So lets not talk about calls. They also tried to use there size to push the US players around but it did not work. My focus has been on the United States. I didn't care who we played each match. Line them up, we have to get it done. Whichever team came through Japan v England, it's fine with me. But not like this. Not a stoppage time own goal. It's sports and these things happen. This won't rise to the level of Andres Escobar, obviously. That was truly tragic. This is just...oh my goodness, nooooooo...not like this. Team USA Wins The Cup! 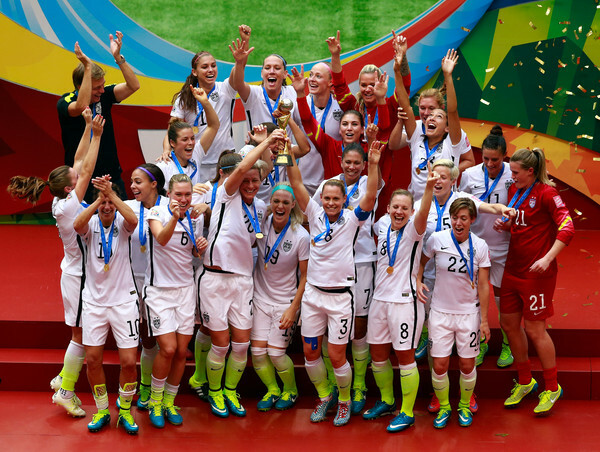 In 2012, the United States Women’s National Team beat Japan to take the Gold Medal in Women’s Soccer at the London Summer Olympics. 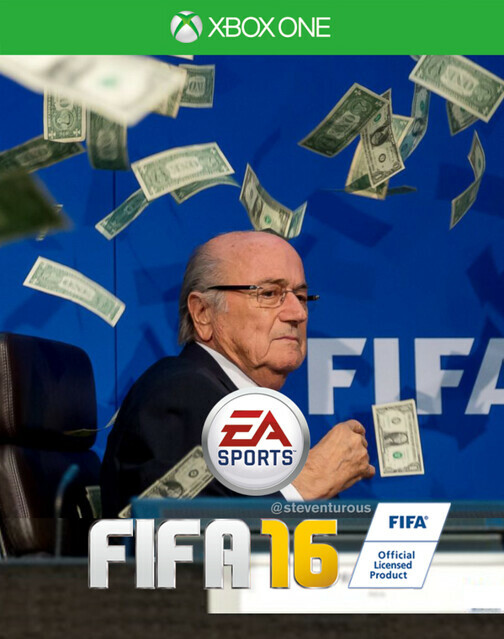 Redemption for losing the 2011 FIFA Women’s World Cup to Japan? Perhaps a small measure of redemption. 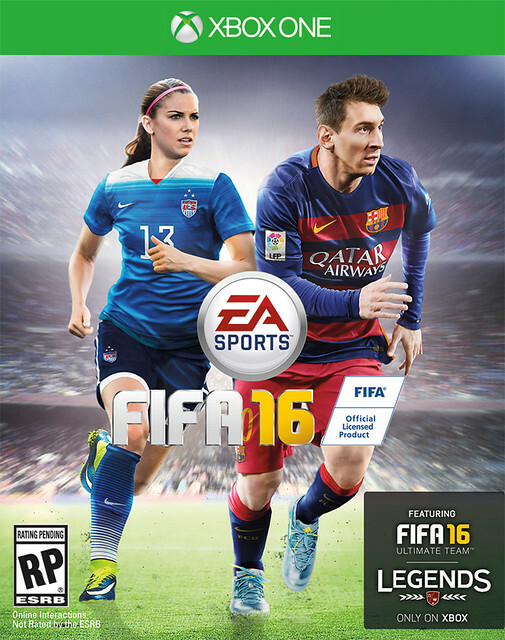 But this is the one, the 2015 FIFA Women’s World Cup, that the Americans needed to win to put to rest the heartbreak of that 2011 loss. Whether they faced Japan on the way to the title was not as important as winning the title, but it would make it sweeter, more fitting. The big threat on the horizon was Germany, who looked like a machine early on in Canada. The USA would gain their ultimate redemption by taking out both Germany and Japan in back to back matches to emerge 2015 FIFA Women’s World Cup champions. The Americans, behind a stout defensive back line and Hope Solo in goal, was riding a long scoreless streak going into the final. Yuki Ogimi would break that streak in the 27th minute. The problem for Japan was by that time the United States had already scored 4 goals in the first 16 minutes, highlighted by a hat trick by Golden Ball and Silver Boot winner Carli Lloyd. 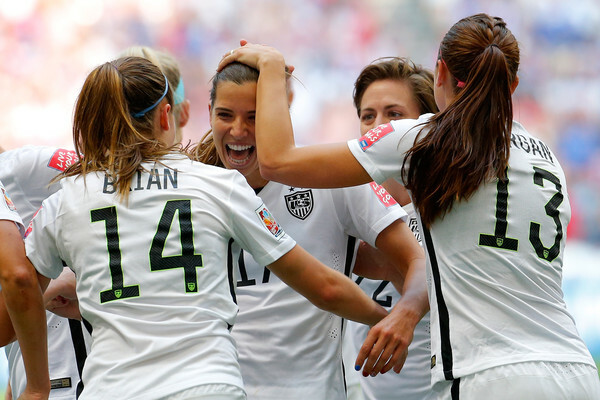 It is the first hat trick in a Women’s World Cup final. Unless the USWNT had a historic collapse, the game was effectively decided in the first 20 minutes. 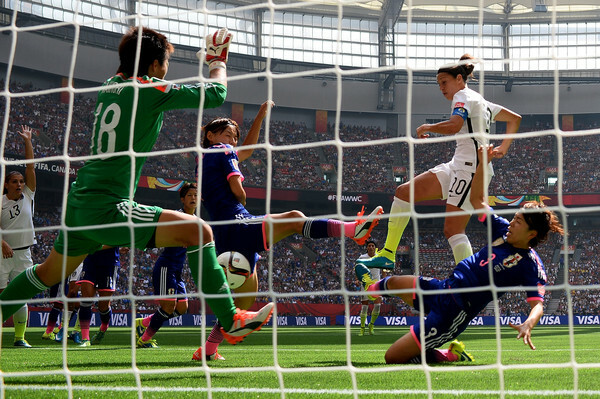 The only other score for Japan came on an own goal by Julie Johnston of the USA in the 52nd minute. Even that hiccup was quickly answered in the 54th minute by a goal from Tobin Heath, pushing the U.S. to a 5-2 advantage. For most of the second half, the Americans and their fans were more or less waiting for the final whistle to blow. 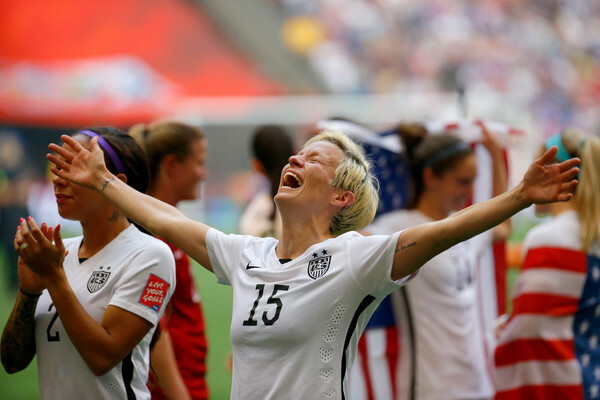 When it did, the United States had won their first Women’s World Cup since 1999, their third overall. 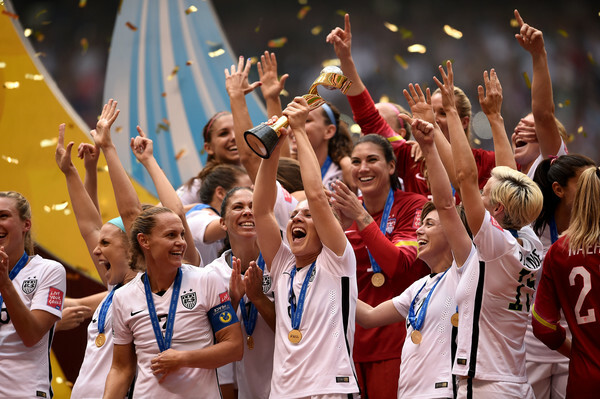 At the end, as the American squad received their gold medals, it was Abby Wambach and Christie Rampone who together came up last to hold up the champion’s trophy together. 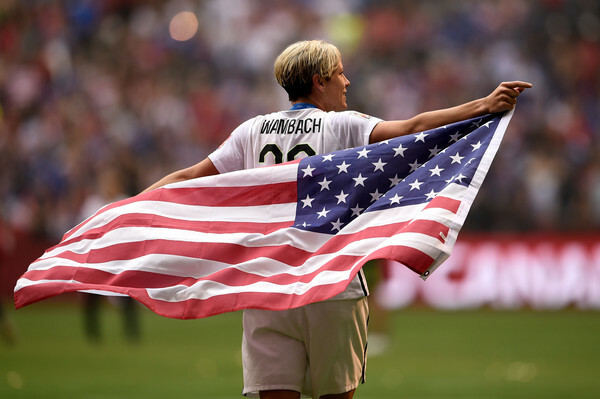 Wambach is the greatest goal scorer in international history, but she had never won a World Cup. 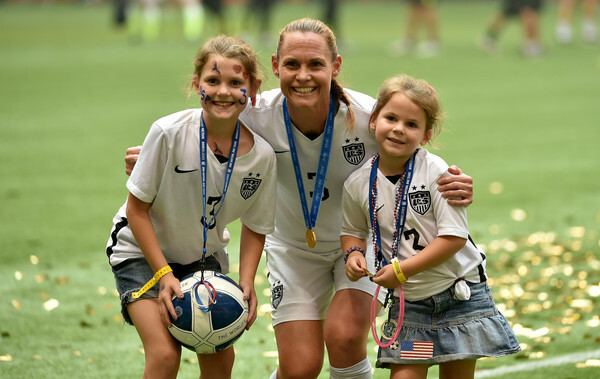 Rampone is the last member of the 1999 American team that won a World Cup. This was the last World Cup for both. 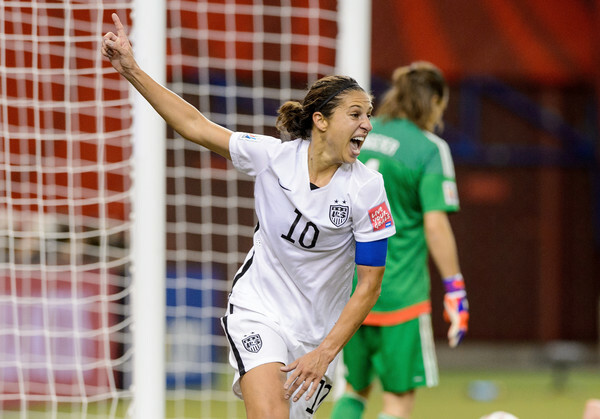 You could see the respect as Carli Lloyd gave Abby the captain’s armband when she was subbed in. 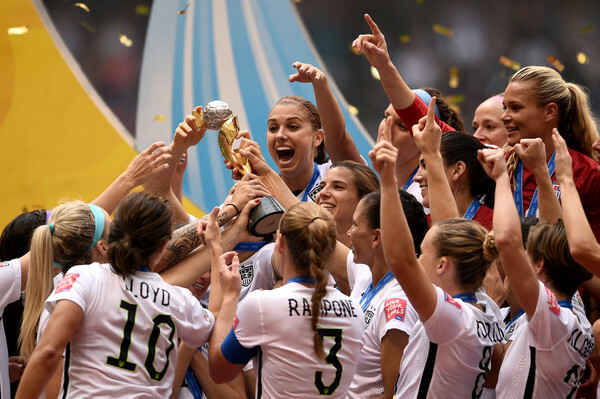 It was a special honor for their teammates to send them (and Shannon Boxx) off as world champions. In fact, they have all earned the title of world champions. For myself, I’ve posted about some of these players for many years. 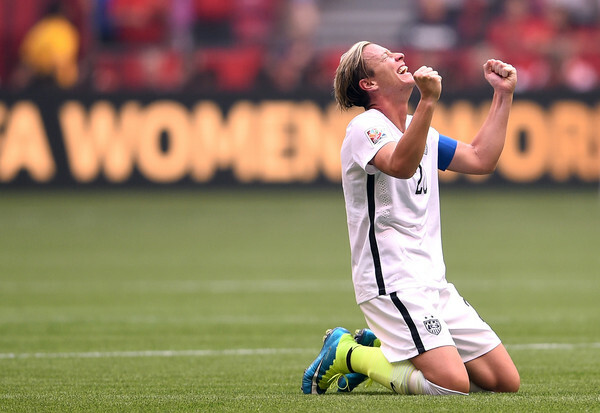 It doesn’t seem real that Abby Wambach won’t be out there next World Cup. Or Rampone, either. Who knows? 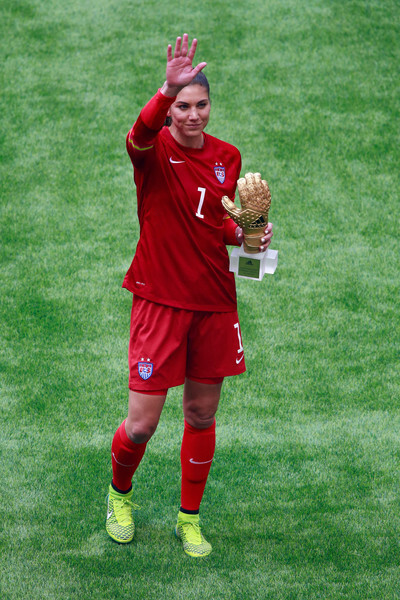 Maybe this is it for Golden Glove winner Hope Solo or Megan Rapinoe or Ali Krieger. It’s hard to imagine Solo coming back again at 37 years old by the next World Cup. But she does keep herself in terrific shape and she doesn’t have to run up and down the field as a goalkeeper. Then again, Rampone made this team at age 40. However, those are questions for another day. 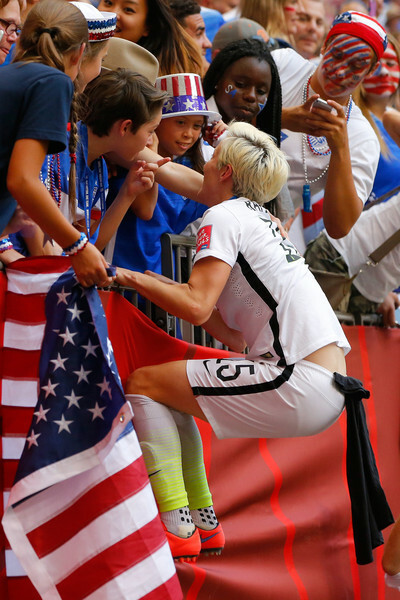 Today…and probably into the foreseeable future…it’s party time for the United States Women’s Team. All the work, the pain, the injuries and letdowns. All of that is worth it now. With all due respect to the 99ers, it’s time for another group of great American soccer women to write their own championship story. The 15ers, I guess we can now call them, have done just that. And they did it in style, taking on the #5, #4 and #1 ranked teams in the world along the way without losing a match. Early on, there was some concern over their uninspired offense. They put those concerns to rest against Germany and Japan, turning it on when they needed it most. 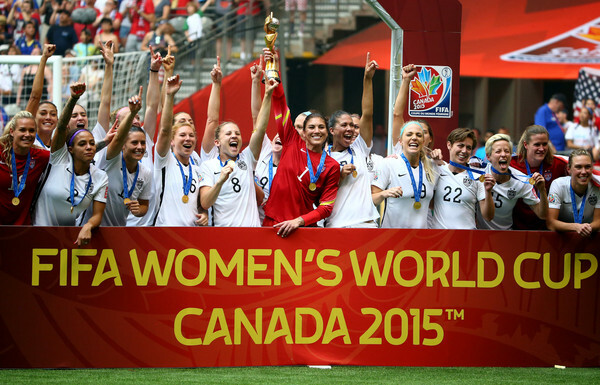 I salute Our Women, the United States Women’s National Team, 2015 FIFA Women’s World Cup champions!